A new bin collection rule was introduced from October 1st 2017. In the new rule, the 46 bulky rubbishes are collected as a pre-paid rubbish. When disposing of your bulky rubbishes, you may have to pay a removal fee in advance. 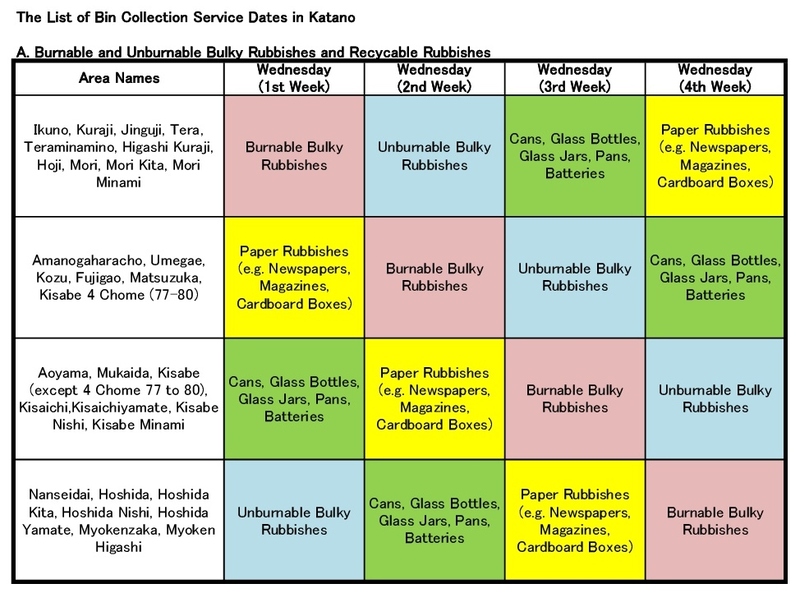 To understand the details of the new bin collection rule, please have a look at “Katano’s Bin Collection Manual“. 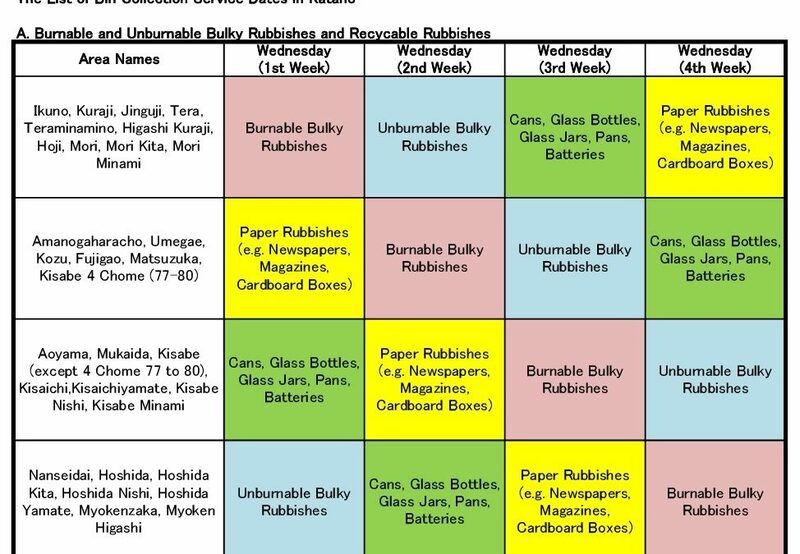 Katano City collects burnable rubbishes twice a week and plastic rubbishes once a week. 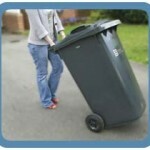 Bin collection dates are dependent on your residence area. The violation of the bin collection rule may cause a unnecessary trouble with your neighbours. If throwing away your rubbishes, check your area’s bin collection date. To throw away burnable (or unburnable) bulky rubbishes, you have to apply for the bulky rubbish collection service first. Bulky rubbishes are collected once a month in each area. Phone the Katano Bin Collection Agency (891-5374) and tell an officer what you want to dispose of. Note: You can throw away up to 4 items (or bags) at one time. The officer tells you your bin collection number and collection date (see table.1). Don’t forget the bin collection number. Write your name and bin collection number on small paper. Tape the paper on your rubbish and put it in front of your house.